14th August, 2018 | Which Notes Do You Really Need in iCloud? Which Notes Do You Really Need in iCloud? If you are the type of person who loves using Apple devices, but are weary about how much of your personal data is seeping into iCloud, we'll discuss a few privacy checks that you can perform regularly to mitigate this problem. The more of your information that Apple can push to iCloud, the better it is for their bottom line, since this gives them more opportunities to sell you things like additional iCloud storage. By simply using and maintaining your Apple device(s) over time, the overall volume of information that "seeps" to iCloud increases. This is largely due to default configuration changes made during key events, that can change the data being collected. This is not necessarily a bad thing. By doing this your information is automatically backed up and synchronized across all of your devices, making it more accessible, and safer from incidents of device loss. However, you may not be aware of the volume of personal information that is accumulating in iCloud. Amongst this, there might be specific information that is more confidential, that you would rather keep on one device only vs. synching to iCloud and other devices. In these cases, you might consider using iCloud a liability over time, given the inherent risks that come with it's centralized nature of storage. Since this is a fairly broad topic, and given that we might habitually be storing more sensitive information in Notes, in this article we'll just focus on the Notes that you create using the very handy Notes App. In addition, we should note that our examples are based on an iPhone 8 Plus, running iOS v11.4 with default settings, so the instructions may vary as Apple makes updates to iOS over time. Notes is a useful app on iOS devices, and for good reason. It's simple to use, efficient, always installed, and has enough capabilities for basic note-taking. IMPORTANT: Before we start, please ensure that you have made a backup of your iPhone/iPad, to avoid any loss of files or information. So, the best way to quickly understand what notes are being synched to iCloud is to go to www.icloud.com from a desktop or notebook, and sign-in. Note that if you try this on a mobile device, such as a smartphone or tablet you'll get an entirely different screen, that is not what we want for this exercise. Now lets go through the checks, along with how to cleanup unwanted notes from iCloud. Reviewing which devices are connected to your iCloud account will rebuild your awareness of devices you might have forgotten about, given away, lost, etc...which could also be receiving copies of your Notes from iCloud. On your notebook or desktop, go to www.icloud.com, and sign in. Select the Settings icon to reveal all My Devices that are linked to your iCloud account. 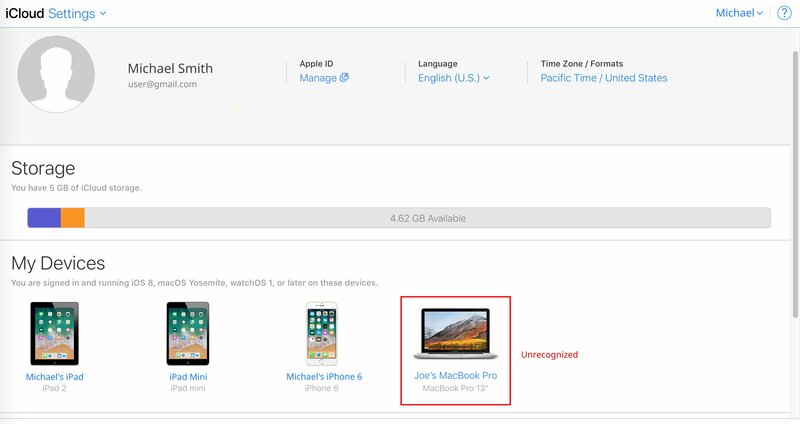 If you see a device listed that you don't recognize, even after trying to track it down, select the device in question, and remove it using the X option next to the device. For other removal options, for instance if you no longer have or own the device, follow these instructions from Apple. If the device continues to appear in the list, consider resetting your password and enabling Two-Factor Authentication on your account to further increase the security of your account, and prevent the unknown device from reconnecting. As we go through the next steps, keep in mind all the remaining devices that you currently have linked to your iCloud account, so you can confirm that your more sensitive Notes have been erased from each device as needed. Select the Notes icon in iCloud to reveal all Notes that are being synched from all of your devices to iCloud. The available notes will be listed. Check whether you have any notes that you don't want in iCloud. If there are NO NOTES shown, then you are done with this check! For notes that you DON'T need at all, on any devices or iCloud, selecting the trash icon on a selected note will move it to the Recently Deleted folder. Following this, don't forget to empty your Recently Deleted folder. 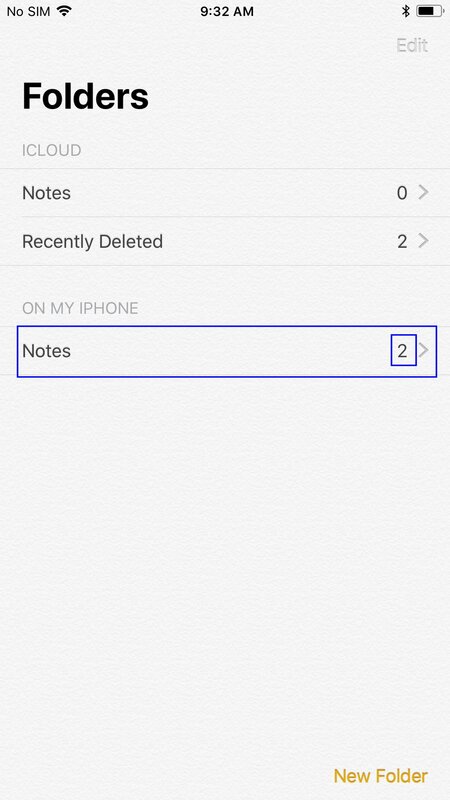 To erase any of your notes from iCloud, but keep them on your iPhone or iPad, you must first enable the ON MY IPHONE section, so it shows up in the Notes App through Settings on your device, so you can move your notes to this section. This will prevent them from being automatically erased, when you erase them from iCloud. Unfortunately, this is off by default, which makes it inconvenient to keep notes on your device only. On your iPhone/iPad, go to Settings. Enable the On My iPhone Account option, which will tell the Notes App to give you the option to store your notes on your iPhone only, vs. synching with them iCloud. 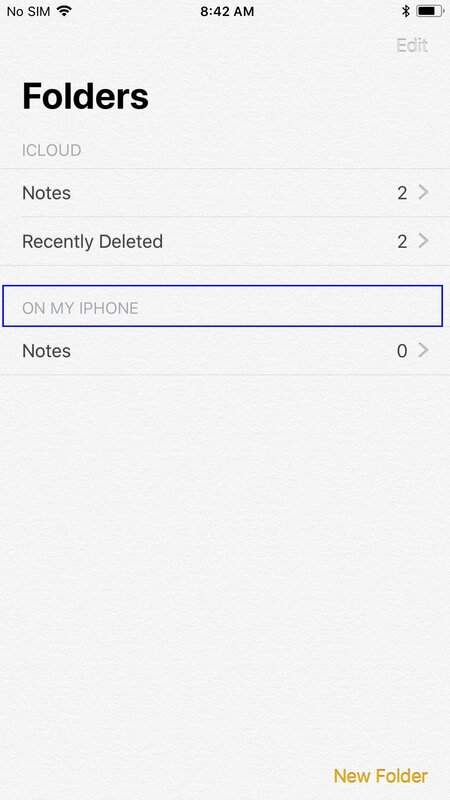 If you want all of your future notes to be stored on your device by default, you can also change the Default Account from iPhone to On My iPhone. 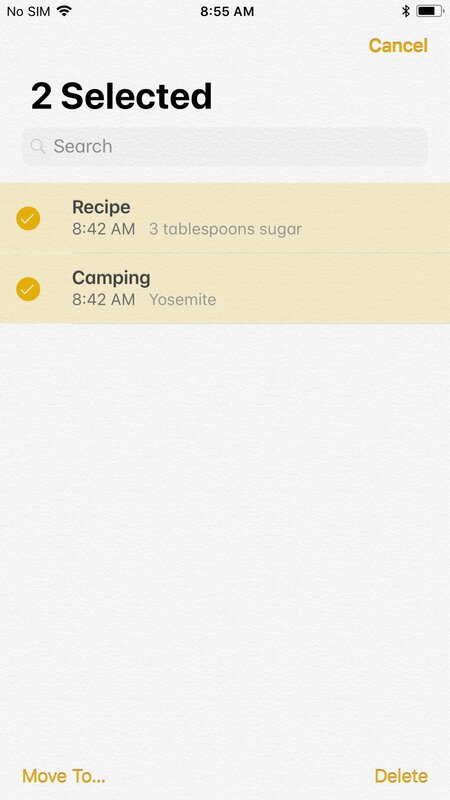 On your iPhone/iPad, go to the Notes App. Now that you have enabled the On My iPhone Account option, you should see this section displayed in the Notes App. If you don't see this option, go back to Settings and re-check that you have enabled the option. 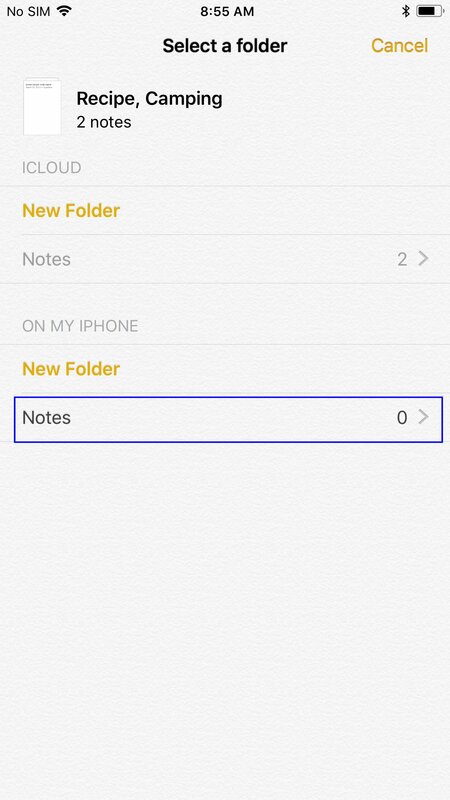 Next, using the Notes App, you'll need to select and move the notes that you want to keep, from the ICLOUD section to the ON MY IPHONE section. Under the ICLOUD section, select Notes, which is the default. You might have other sections under here as well. Select the Edit option in the top right corner, and using the checkboxes on the left side, select the notes to move. In the bottom right corner, select the Move To... option. A list of possible destination folders will be displayed. Under the ON MY IPHONE section, select the Notes folder, or another appropriate folder, as long as it is under the ON MY IPHONE section. The selected notes will be moved. Now, back on the main screen, you'll see the count of notes under ICLOUD should be reduced, and the count of notes under the ON MY IPHONE section should have increased by the number of notes you just moved. 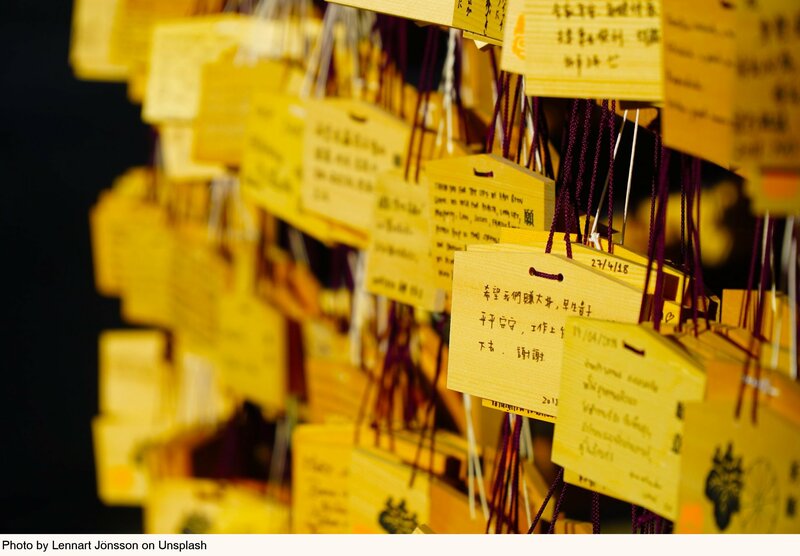 As a sanity check, you should also open a couple of the notes you moved, to ensure they are the correct ones. Finally, go back to iCloud and ensure that the notes you moved previously have been automatically removed from iCloud. If this is not the case, then re-check your iPhone/iPad to ensure you moved the notes to the correct folder in the Notes App. 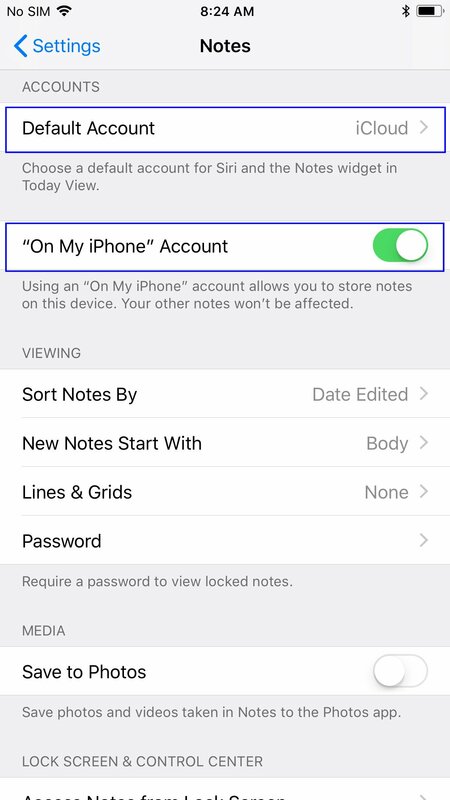 IMPORTANT: Be careful not to erase notes from iCloud, until you have confirmed that they have been moved to the ON MY IPHONE section in the Notes App on your device. In this article we discussed the importance of being aware of how your personal information seeps to iCloud over time, with a specific focus on Notes. We also discussed how to remove selected notes from iCloud, without them being automatically removed all of your devices. Services such as SiaCoin are focusing on improved ways for consumers and businesses to store and protect data using a decentralized, blockchain-based storage approach, as discussed in this article by Delton Rhodes, originally posted on CoinCentral.com. Governments are also more aggressively pushing blockchain technologies to improve the security of stored data. This is partially due to the introduction of new and evolving data security and privacy regulations, along with the ongoing need to eliminate paperwork. One example is discussed in this article originally posted on MintDice.com. If you have any feedback, questions, or suggestions, please let us know.